This light-to-medium weight sweater is and ideal companion for cool days. This garment features white accent stitching across the chest, and along the red side panels. 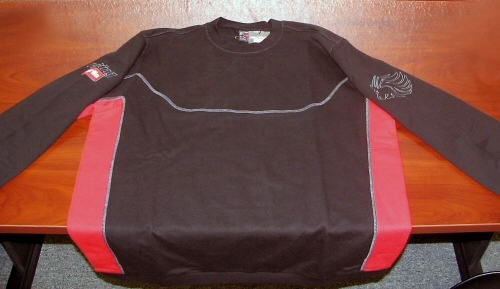 The lion's head logo is on the upper left sleeve, and 'Racing Aprilia' is on the upper right sleeve. Comfortable, and attractive, this sweater is a good way to brighten up a gloomy day.